With fall (supposedly) nearly upon us, you might be wondering how to make the most of those end of season herbs left in your home garden. 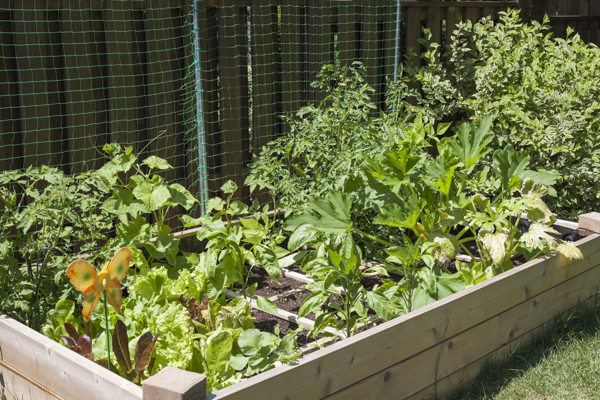 When we bought our house, finally having a proper vegetable garden was a top priority for us. Thankfully our neighbours mentioned the fact that an enormous black walnut tree on the next property could have a negative effect on nearby plants. Black walnuts produce a toxic substance called juglone that gets into the soil from the tree’s roots, as well as from the fallen walnuts, leaves, twigs, and bark. 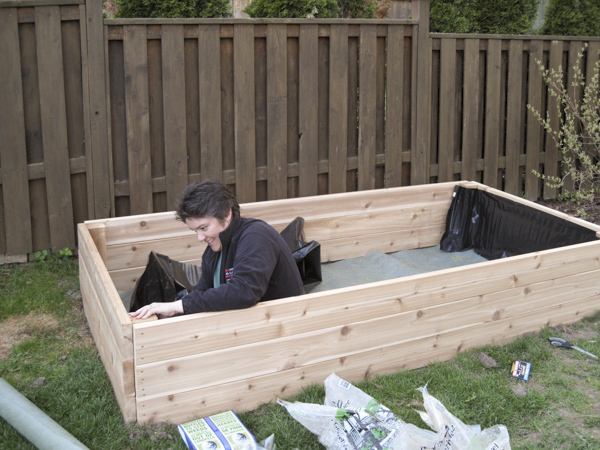 The best solution was to use a raised garden bed, and I was happy to have the opportunity to show off the woodworking skills taught to me by my carpenter grandfather (and put some of his old tools to good use!). 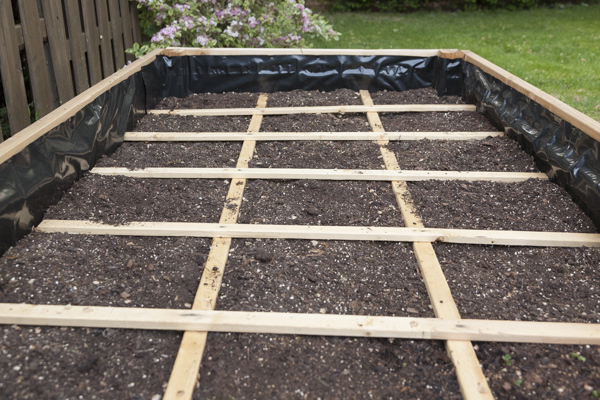 Our small vegetable and herb garden, using the square foot gardening technique, was born, and has never been empty since! Over the years the collection of plants spread to containers on the patio as well, with generally successful outcomes as long as I steered clear of them. The most astounding performer is the chocolate mint, which my mother originally gave to us in a small pot. Here’s the thing: you need to manage your mint! Left unchecked, the tendrils will grow over the sides of the pot, take root in nearby soil, and spread like wildfire. 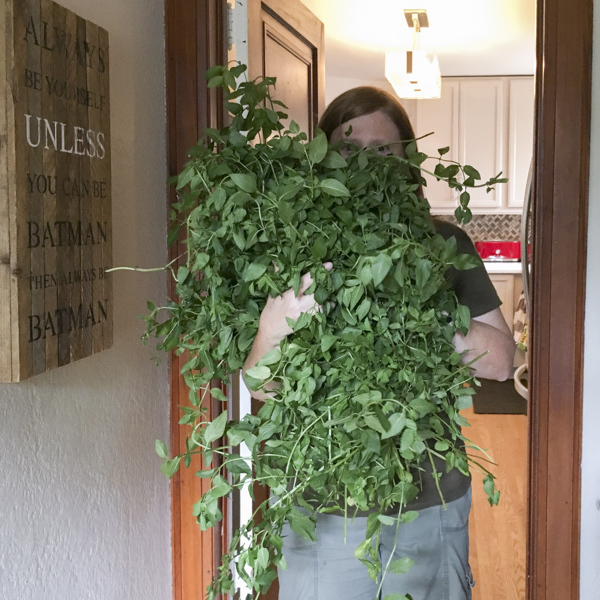 At first we didn’t mind this large mint patch, because it is just so tasty made into a tea, chopped into salads or fruit salads, or added to yummy drinks like mojitos. However, when you don’t harvest it frequently enough, it can take hours to deal with the consequences! It keeps your herb plants healthy and promotes growth to make frequent small harvests, and don’t allow them to go to flower/seed. If you only need to use a few leaves, consider cutting a few stems and placing them in a glass of (preferably filtered) water. If you change the water every couple of days, the cuttings can last up to three weeks! When the time comes for the final harvest, there are a couple of different ways to enjoy the fruits of your labour all winter long. 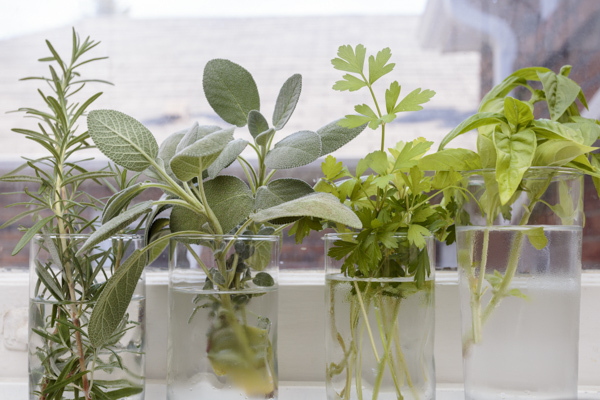 Low-moisture herbs like oregano, parsley, thyme, and dill work well with air-drying methods, such as bundling several stems and hanging them upside down in a vented paper bag for a couple of weeks. Keep in mind that heating them, even at low temperatures in the oven, does diminish the oil content and flavour. Our personal preference is to freeze fresh herbs. 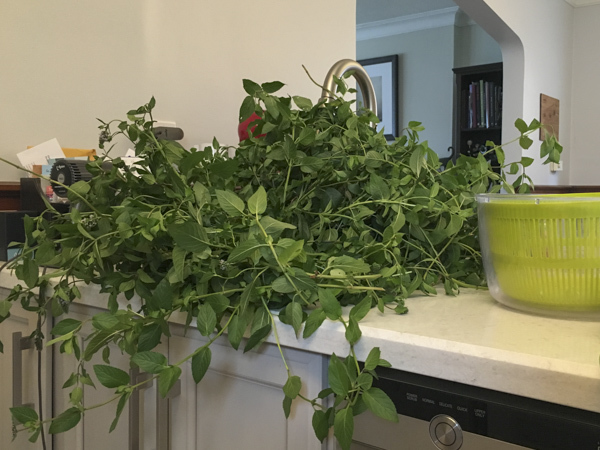 If you’re using mint leaves to brew tea, or basil leaves to add to tomato sauce, it couldn’t be simpler to throw a handful of leaves frozen on the stem into your mug or saucepot. 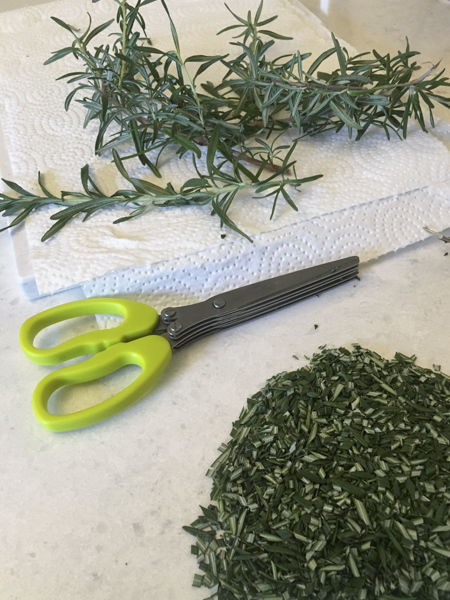 For recipe favourites such as sage or rosemary, we chop them up fresh (using herb scissors or a food processor) and add a small amount of olive oil or butter to really help preserve the flavour. 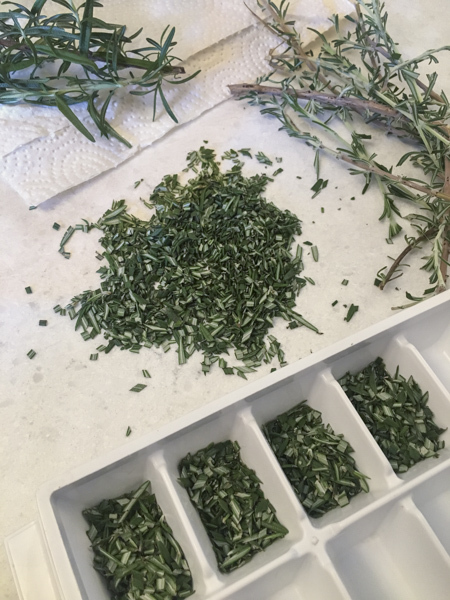 Press the mixture into ice cube trays to make herb butter cubes, which you can then pop out and store in freezer containers. Buying herbs from the supermarket can get expensive, and also often involves a lot of waste. Growing your own and then taking the time to pick every last stem is well worth it! Happy harvesting!